When folks think of the music industry, one of the first places that might come to mind is Nashville, Tennessee. Music City, Nashvegas, or whatever else you want to call it, has seen so many dreams come true and equal amounts of heartbreak. It is a city where only the strong-willed and talented can survive. Knowing the odds and success rate doesn’t stop the dreamers from packing up their bags and enrolling in a little music school called Belmont University. Over the years, Belmont has produced many big-name artists, from Brad Paisley to the members of Florida Georgia Line. It is also the home of Judah & the Lion, whose newest single “Take It All Back” recently hit number one at Alternative Radio. 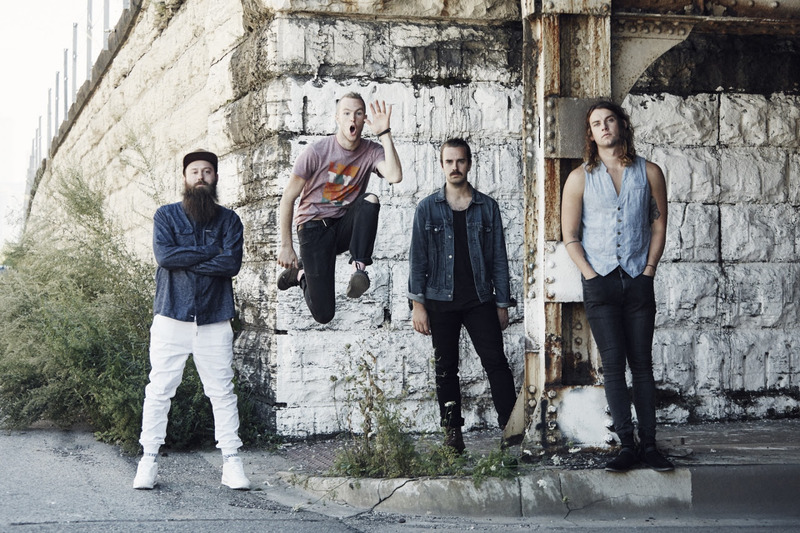 Consisting of Judah Akers, Brian Macdonald, Nate Zuercher, and Spencer Cross, Judah & the Lion were the talk of Belmont’s campus, and for good reason. They created a folk sound similar to the band of the time, Mumford and Sons. Students and faculty alike looked forward to performances. Friends shared songs and waited up for single releases. Their masterful musicianship and lyrics set them apart from the rest. Judah & the Lion’s songs were relatable and helped many through the harrowing years college had to offer. Although the band only performed a handful of songs, everyone knew this was only the beginning. Now almost five years later, Judah & the Lion are coming off their second studio album and countless tour dates. They are known for their stunningly relatable lyrics paired with hard-hitting beats. Their latest release, Folk Hop N’ Roll (3/4/2016 via Cletus the Van Records/Caroline Music), combines the three great, but often disparate genres: Folk, Hip Hop, and Rock n’ Roll. On paper it looks like it isn’t possible, but the band create magic with their instruments and blends the three effortlessly. They credit this unique sounding style to their love of all three genres, which proves that if you have the passion, you can do anything. Propelled by the success of “Take It All Back,” Judah & the Lion have been on the road for the better half of a year. They have opened for artists like Ben Rector and headlined their own shows. With each performance comes a multitude of energy, humor, and T-Pain song covers. The adoration they have for their music is palpable, helping everyone remember why we love music as much as we do. The band works hard to maintain the vivacity needed to perform to the highest level, a talent you can catch as they open for Twenty One Pilots on their world tour. Judah & the Lion’s music has been played many different ways in many different styles. It has evolved into a sound all its own. The sky’s the limit for a band as inventive as they are, and their third album will prove that they are here to stay. Atwood Magazine spoke to Judah & the Lion as the band entered 2017 with a #1 single. All four members attended Belmont University, a school that is a very successful music school. Did you go to school for music or did you major in something different? Judah & the Lion: We all did different things: Judah majored in music business and played on the baseball team. Nate majored in music studying banjo. Spencer studied social entrepreneurship. Brian majored in music and studied mandolin. What lessons did Belmont teach you about the music industry? Judah & the Lion: I think we learned to be thankful for the opportunities we get, and to work hard. The music industry is not easy, it takes more than just pure talent. But as with many things, we have learned so much from simply experiencing it ourselves and learning as we go. You originally started out as a Christian music band. Is that where your name stems from? Judah & the Lion: Our first ever release was a Christian worship EP, but the name isn’t necessarily biblical. We were figuring out our path at the time and growing as a band at the time. We wanted our songs to reach a broader audience, and not pigeon hole us into one type of crowd or demographic. As seniors at Belmont University, you performed in two different showcases and won both: The Christian Showcase and the Best of the Best. How did performing in those showcases prepare you for performing on tour? Judah & the Lion: It was really great honestly. Right from the beginning it allowed us to perform to big crowds, and get our name out there. It also taught us a lot about how to perform on bigger stages, how to act on stage, et cetera. Judah & the Lion: Judah had some songs, and he was wanting to hear more organic instruments with them. He knew of Nate through a friend, and knew that he played banjo. Nate and Brian had a class together, and so Nate brought Brian along when they were going to jam that day. We really clicked on a relational level when we got lunch that day, and also on a musical level, something just felt really good. I guess the rest is history! Your sound has changed since the start of Judah & the Lion. Has it been planned from the beginning? Judah & the Lion: It has not been planned. We’ve just been creating and following our own vision and musical journey. I think we see more clearly now where we’re going, but at the beginning I don’t think we really knew at all how this was going to end up! The key for us has been to keep being ourselves, and not falter from that for anybody. We think that is when people can truly grab on to our music and relate to it, because it’s honest. What has influenced the sound growth? Judah & the Lion: We listen to a wide variety of genres, and I think we strive to mesh those in a way that is still truly us. We’ve been influenced by bands around us. Also we have a desire as a band to not stay stagnant but always be changing and growing. we’re not content to write the same song or play the same “genre” over and over. We want to do our best to think outside of the box and be our best selves, keep improving. 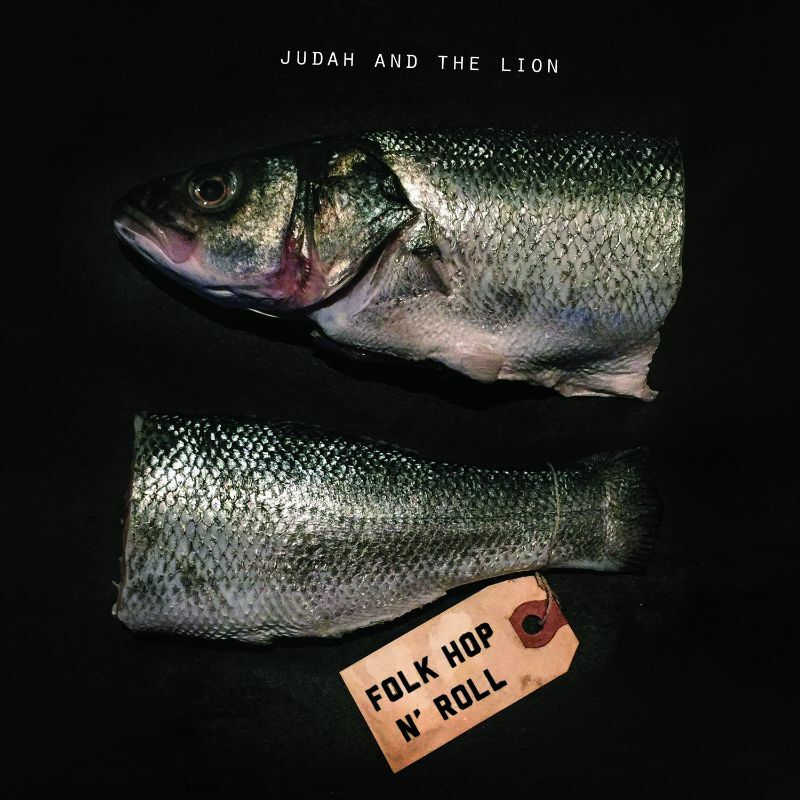 Folk Hop N' Roll combines multiple different genres. Was it tough finding the perfect balance of the genres in your songs? Judah & the Lion: It was definitely a journey, and something that we worked hard at. We had to be open to try new things, but like I said we each bring a unique genre and influence to the table, so it really takes listening to each other and feeding off of each other to come up with our best music. We each bring a unique genre and influence to the table, so it really takes listening to each other and feeding off of each other to come up with our best music. Many of your songs contain positive messages. Is that important to you as you write? Judah & the Lion: Yeah I think one thing we can bring is positive fun energy to a show, and we really hope that translates. We want to create an environment where everybody can let loose, have fun, and feel included. What has been your biggest challenge as a band thus far, and how did you overcome it? Judah & the Lion: I think for us it’s learning how to support each other while we’re on the road. Transparently, touring can be very physically and mentally exhausting, and it’s really important to know how to leverage that in a positive way. It can be hard but we have a lot of love for each other and we work hard to maintain that. Your last album was recorded in a matter of weeks. What is the hardest part of the recording process for you? Judah & the Lion: I think deciding songs is the hardest thing. We all have our favorite songs going in, but we know that not all of them will make it on the album. In the end some songs are going to have to get cut. “Take It All Back” has seen tremendous success, hitting number 1 on Alternative Radio and staying there! What do you think stands out about the song over other alternative songs on the radio today? Judah & the Lion: I think “Take It All Back” stands out because of the way it blends genres. It really represents our folk roots, but also has a strong chorus that people can grab onto. Why is “Take It All Back” special to you as a band? Judah & the Lion: “Take It All Back” is a statement and reminder to ourselves. Why do we do what we do? What is important to us? Would we trade all of this for things that genuinely matter in our lives? You originally released “Take it All Back” as a single in February, making it your first single release from Folk Hop N' Roll. You then re-released it as “Take It All Back 2.0” in July. What was different between the original and 2.0? Do you think the re-release help with the success of the song? Judah & the Lion: We basically tightened up some of the structure of the song, and remixed it. The original version was very “live” and yes, I think the 2.0 version has been helpful in the success of the song; it’s a little shorter too, which is helpful for radio. What have you learned from the many bands/musicians that you have toured with? Judah & the Lion: We’ve learned a lot. It’s really great to have bands and artists to look up to and learn from along our journey. You have toured with many different artists that play different genres of music. Does this help gain a new audience for your music? Judah & the Lion: Yeah it definitely helps expand our audience and give us exposure. We’re really thankful for the artists that have taken us out on the road with them. Do you change how you perform based off the artist you open for? 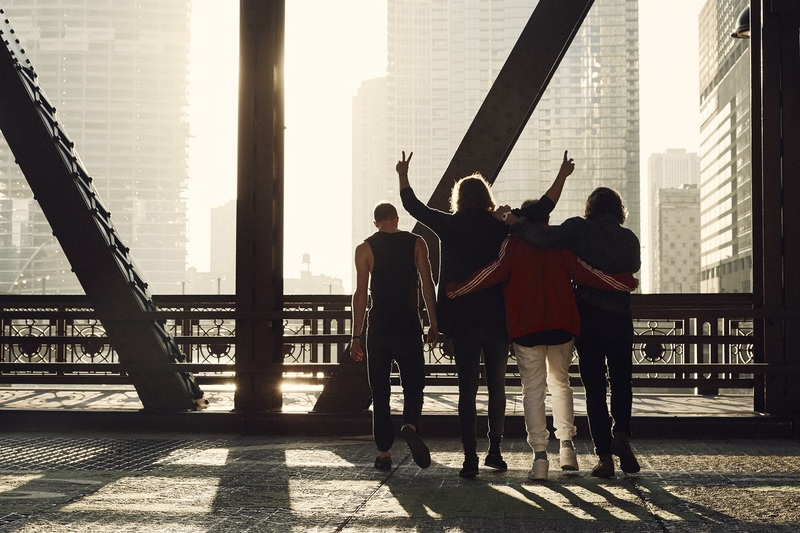 Judah & the Lion: Our main focus is to put on the show that we’re most excited about. With that said, we are attentive to what certain fans will respond to, and sometimes we change songs based on that! What is your favorite part about headlining a show? Judah & the Lion: The best part about headlining is having our fans there. The majority of the people there are there to support you and they sings the songs and know the words, that’s very special to us. When you perform, it is obvious that you put your all into it. What have you learned from having a full year on the road? Judah & the Lion: It’s important to give your all every night. People come to the show and deserve your best effort. When first starting the band, what were your expectations and how have they changed since? Judah & the Lion: I think we just take it as a journey, seeing where it goes and enjoying each twist and turn! We’re just grateful to get to do what we do. You are currently on tour with Twenty One Pilots. Will the next album have more of that sound? 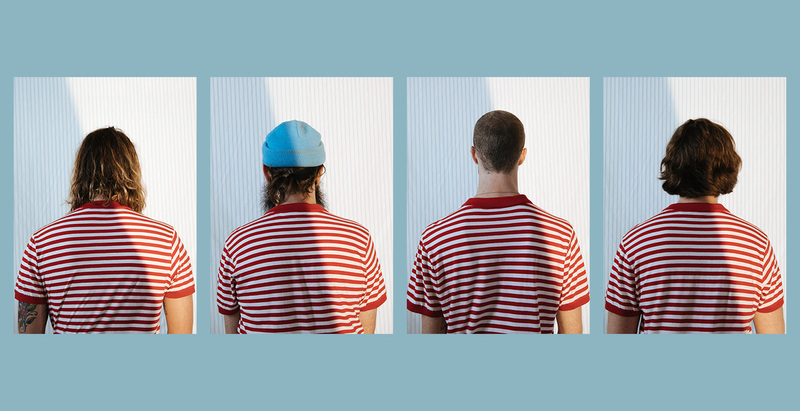 Judah & the Lion: Not necessarily – we are always growing and changing our music to become more “us” and definitely influenced by the people around us. You always need to work hard, no matter what ‘level’ you are on. What are you most excited about going into your third studio album? Judah & the Lion: We’re excited to hopefully have more time in the studio, rather than rushing it and knocking it out in 2 weeks, really spending time in there until the songs are right where we want them. If you could go back and change one thing about your experience in the music industry, what would it be? Judah & the Lion: I don’t think we’d change much right now. It’s good to learn from our experiences, and I think one important thing we’ve learned is you always need to work hard, no matter what ‘level’ you are on. How would you describe your music to someone who didn’t know your band? 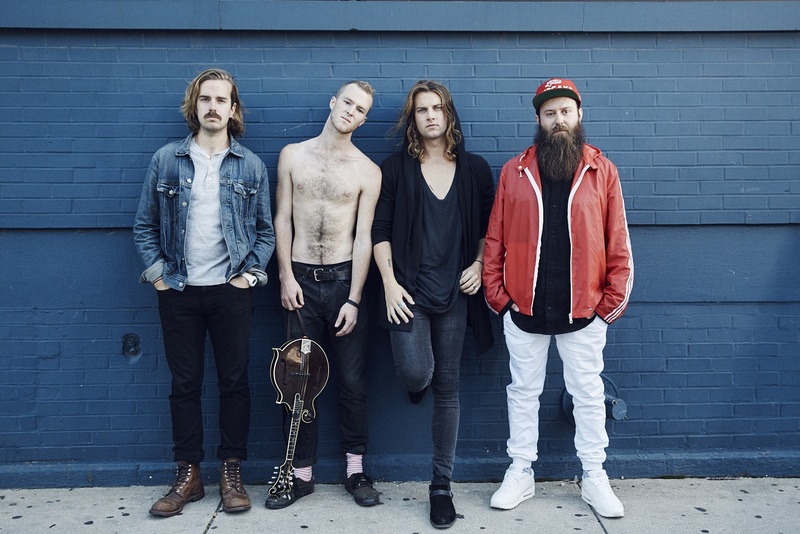 Judah & the Lion: Folk hop, or folk rock! Fun, and danceable! Finally, what would you like to say to your fans? Judah & the Lion: We wouldn’t do this without you! We are thankful!